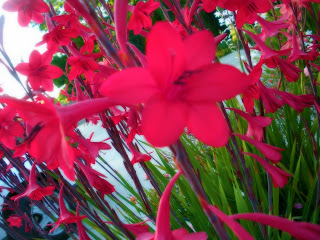 We are having the most BEAUTIFUL Springtime in our new house!! We are so blessed with such a wonderful yard full of beautiful trees and flowers! CLICK HERE TO SEE THE PICS!! 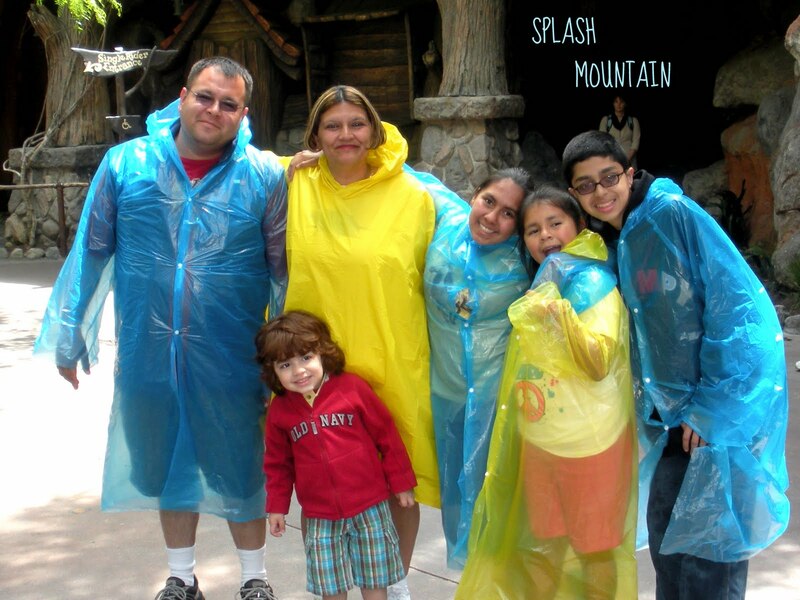 This year we were blessed again to be able to go on a Disneyland Vacation with the Chavoya family! And believe me, we had the time of our lives!! Especially since we got 4 day park hopper tickets, we got to see ALL of Disneyland & CA Adventure, we didn't miss a thing!! Since Grandma (my mom) has been fighting cancer, she is still in pain & fighting for her life. But, she decided she wanted to take her whole family on a Disneyland Vacation to have some wonderful memories that would last a lifetime! We stayed in a beautiful suite right across the street from Disneyland, so all we had to do is walk right across the street every morning! It was such a wonderful, fun time! I am so very thankful to have this trip with my parents. I don't know if this will be the last Disney Vacation we will take. I hope not. But, if it is, it was a beautiful, memorable one & it will live in the hearts of me & my children forever! CLICK HERE TO SEE ALL THE PICS OF OUR DISNEY VACATION!! 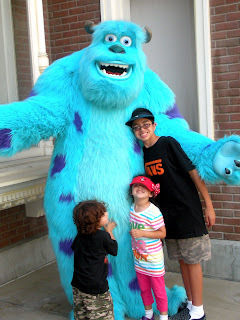 This picture was taken in September 2009 on our last trip to Disneyland/CA Adventures. We are super excited to be going to Disneyland & CA Adventures again this year!! We are going with our Chavoya Family & we just can't wait! Grandma decided she wants to take our whole family to Disneyland, we are so blessed to have such a great Grandma & Papa!! This time we are staying for 4 days! That much Disney time, we are gonna be able to see just about everything!! And the best part is Grandma & Papa are paying for everything! Woo-Hoo! We will be staying in a Beautiful Suite right across the street from Disneyland, so we will be able to walk to the park! All of the most important people in our lives will be going - Grandma, Papa, Martina, Kimberlyn, Auntie Cindy, Auntie Sharon, Gerardo, Me, Jacob, Lilly & Aaron!!! Sorry about the premature blog, but I'm just so excited for this vacation, I couldn't help but blog about it!! LOL!! So we have been very blessed by God to be able to move into a big house with a big backyard for our kiddos to run and play! The kids LOVE the backyard, well, they love the whole house actually! They love their bigger rooms & they have a playroom filled with toys, a TV w/ cable & a computer w/ Internet so they can go on their favorite websites! But, their favorite thing by far is the big backyard they have to play and explore. Even Jacob gets out there & explores with the babies! We love it and are probably the happiest that we have ever been! Life is good! Life is GREAT!! 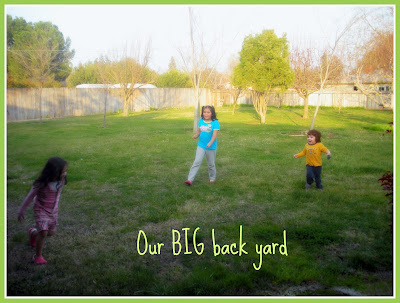 Click HERE to see a little "Peek" of our Backyard that the kids are loving so much !! !